The prospect of camping fires up everyone's imagination, different people may have different motivations, some of you may see it as an opportunity for great selfies, for some of you it maybe a opportunity to get away from your daily grind and for some of you, it may be a way of life. From camping stoves using wood and coal as fuel, to kerosene camping stoves and stoves that used Naphtha or other liquid fuels, today we have multi fuel stoves that can run on different types of fuel providing a lot of flexibility. The market is flooded with stoves and in an effort to assist you in separating the grain from the chaff I've compiled a list of the best multi fuel stoves in the market. 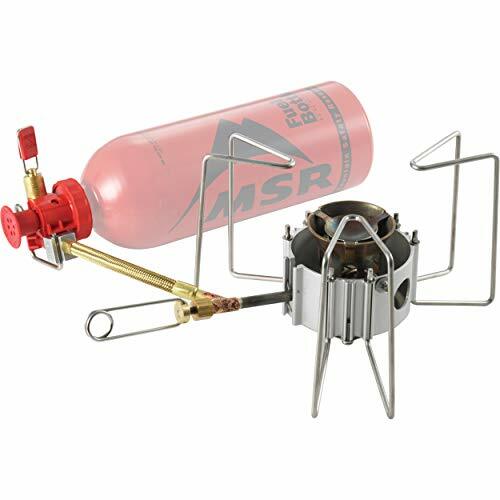 MSR's latest update to its Whisperlite range is probably the best multi fuel stove out there. It is extremely durable and rugged and made for all season use.This is THE multi fuel camp stove to have with you on your trips to the back of beyond. It is a hybrid fuel stove which means you can run both canister and liquid fuel on the stove. Switching between fuel types requires a simple change in jet and tank connectors, all parts are included. Which means you can use white fuel, kerosene and automotive fuel in addition to isobutane and propane. This provides much greater flexibility while camping as canister fuels may not be available everywhere but I can safely say that automotive fuel is available pretty much anywhere. It has amazing simmer control and provides great wind protection, thus you can easily use it in windy conditions. The stove is light for all its capabilities, however, if your only requirement is boiling water then the stove along with it's fuel tank may feel a tad heavy, but then again this is me fishing for faults where there don't seem to be any. Another extremely versatile offering from the house of MSR, the Dragonfly is a stove for all seasons. It is well built, extremely stable, and can handle large pots and pans. It can heat water pretty quickly, which is a no brainer since all camping stoves do that, but where it differs from the other stoves is in its capability of precision flame control which allows you to simmer at the lowest flame thus allowing for precision cooking. Now that is something not all camping stoves ,let alone multifuel camping stoves, have. The stove can run on white gas or naphtha as it is known in some places, kerosene, unleaded auto fuel and wait for it....DIESEL! 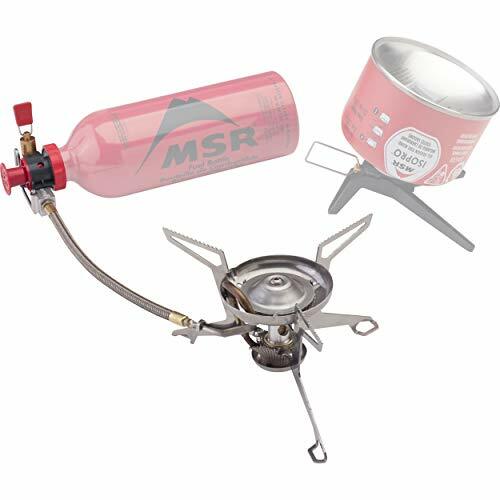 Choosing this is a no brainer if you are in the market for a camping stove. The only thing it can't do is cook the food for you but that day may be closer than you think. If you ever wanted to own a tank and couldn't because...well... because it isn't allowed, then rest easy because you can at least own the tank of multi fuel camp stoves. I present to you the virtually indestructible Optimus Svea Stove. The no fuss, ever dependable stove which runs even in a downpour. If you hear your fellow backpackers or maybe your grandfather boasting of his camping stove which has been running for the last 40 years you can safely bet your money on the fact that it is the Optimus. It is not the most frugal, the lightest or the easiest to operate but once you get used to it, the stove shall never let you down. Also the stove is likely to outlast you, however its main drawback is that even though it is called a multi fuel stove the reason why it is not at the top of the best camping stove list is that it mainly uses white gas. Unleaded fuel may be used in case of emergencies but it tends to clog the stove easily and if you want a kerosene camping stove then this is probably not for you. The Coleman Sportster II is another popular multi fuel stove offering from the renowned Coleman stable. 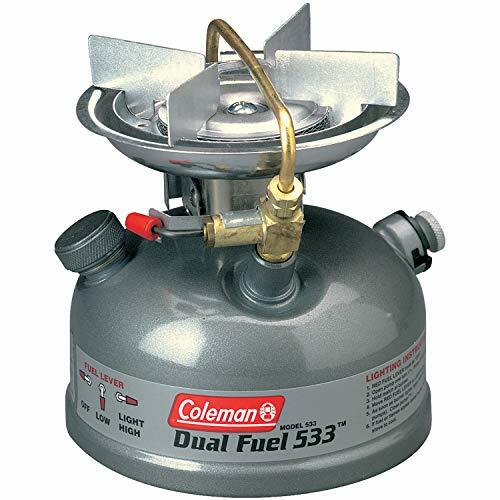 It is adequate for most purposes and can run on white gas or Coleman Liquid Fuel as they like to call it or unleaded gasoline and with gasoline available almost everywhere this stove is practicable for any situation . The heat produced by this multi fuel stove is more than sufficient for most purposes and the extremely stable with a large base which can accommodate pots of up to 6in. However unlike some of the other offerings mentioned in the list the Coleman requires a bit of finesse while handling and a bit of maintenance is required too. If these requirements are met then the 533 shouldn't give you any cause for complaints. This is another popular offering from Coleman which performs admirably in all respects. It is a workhorse which may not be the best, but performs adequately in all conditions and situations. Overall performance is right up there with the best. It can run on white gas, naphtha, unleaded auto fuel, and kerosene and is suitable for any situation. Another big plus in my mind is that this stove is quite efficient and reduces the amount of backup fuel you need to carry on your adventure. It provides decent wind protection and can handle larger pots and pans. However, the Exponent may lack some of the finesse and build quality the others in this list have. In spite of the small deficiencies, it deserves to be up there with the best multi fuel camping stoves available in the market. If you are planning to go backpacking or camping, or even if you don't plan on going anywhere, but want to be prepared in case of emergencies, and are on the lookout for a multi fuel stove then this list is your guide for the best multi fuel camping stoves out there. You can, based on your specific requirements, take your pick of any of the best multi fuel stoves mentioned above and you will not go wrong.